AP says U.S. secretly built "Cuban Twitter" called ZunZuneo to thwart Cuba censorship, but was it legal? WASHINGTON -- In July 2010, Joe McSpedon, a U.S. government official, flew to Barcelona to put the final touches on a secret plan to build a social media project aimed at undermining Cuba's communist government. McSpedon and his team of high-tech contractors had come in from Costa Rica and Nicaragua, Washington and Denver. 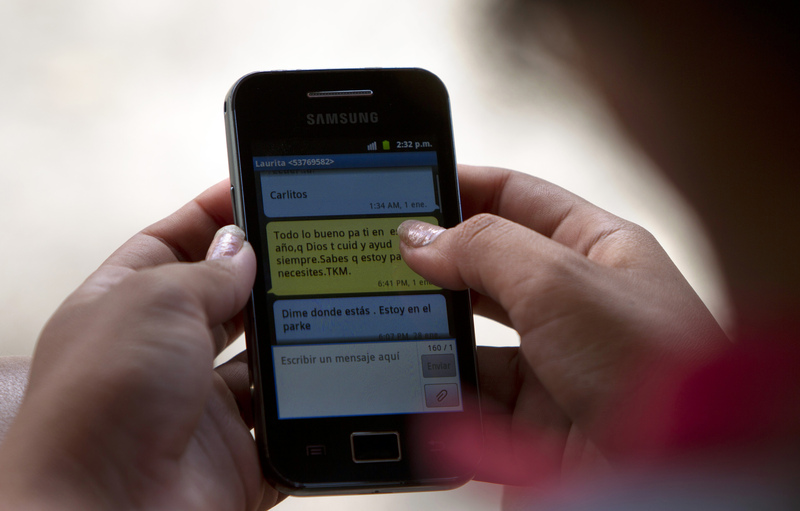 Their mission: to launch a messaging network that could reach hundreds of thousands of Cubans. To hide the network from the Cuban government, they would set up a byzantine system of front companies using a Cayman Islands bank account, and recruit unsuspecting executives who would not be told of the company's ties to the U.S. government. McSpedon didn't work for the CIA. This was a program paid for and run by the U.S. Agency for International Development, best known for overseeing billions of dollars in U.S. humanitarian aid. According to documents obtained by The Associated Press and multiple interviews with people involved in the project, the plan was to develop a bare-bones "Cuban Twitter," using cellphone text messaging to evade Cuba's strict control of information and its stranglehold restrictions over the Internet. In a play on Twitter, it was called ZunZuneo - slang for a Cuban hummingbird's tweet. Documents show the U.S. government planned to build a subscriber base through "non-controversial content": news messages on soccer, music, and hurricane updates. Later when the network reached a critical mass of subscribers, perhaps hundreds of thousands, operators would introduce political content aimed at inspiring Cubans to organize "smart mobs" - mass gatherings called at a moment's notice that might trigger a Cuban Spring, or, as one USAID document put it, "renegotiate the balance of power between the state and society." But the ZunZuneo program muddies those claims, a sensitive issue for its mission to promote democracy and deliver aid to the world's poor and vulnerable - which requires the trust of foreign governments. "On the face of it, there are several aspects about this that are troubling," said Sen. Patrick Leahy, D-Vt. and chairman of the Appropriations Committee's State Department and foreign operations subcommittee. The Associated Press obtained more than 1,000 pages of documents about the project's development. The AP independently verified the project's scope and details in the documents - such as federal contract numbers and names of job candidates - through publicly available databases, government sources and interviews with those directly involved in ZunZuneo. Taken together, they tell the story of how agents of the U.S. government, working in deep secrecy, became tech entrepreneurs - in Cuba. And it all began with a half a million cellphone numbers obtained from a communist government. CBS News producer Portia Siegelbaum in Havana reports that -- thanks to the censorship the project was designed to undermine -- most Cubans, including those who signed up to the service, remain unaware it was a U.S. covert operation. The Cuban government controls all newspapers and TV programming on the island, so until officials come out with a statement or reprint the AP report, most people will know nothing of it. Siegelbaum adds that the story broke at a time when Cuba is extending both internet and cell phone services in the country and, for the first time, offering internet service via cell phones. Bernheim told his sister that he could figure out a way to send instant texts to hundreds of thousands of Cubans -- for cheap. It could not be encrypted though, because that would be too complicated. They wouldn't be able to hide the messages from the Cuban government, which owned Cubacel. But they could disguise who was sending the texts by constantly switching the countries the messages came from. In multiple documents, USAID staff pointed out that text messaging had mobilized smart mobs and political uprisings in Moldova and the Philippines, among others. In Iran, the USAID noted social media's role following the disputed election of then President Mahmoud Ahmadinejad in June 2009 - and saw it as an important foreign policy tool. McSpedon worked for USAID's Office of Transition Initiatives (OTI), a division that was created after the fall of the Soviet Union to promote U.S. interests in quickly changing political environments - without the usual red tape. Tensions with Congress spiked just as the ZunZuneo project was gearing up in December 2009, when another USAID program ended in the arrest of the U.S. contractor, Alan Gross. Gross had traveled repeatedly to Cuba on a secret mission to expand Internet access using sensitive technology typically available only to governments, a mission first revealed in February 2012 by AP. The team hired Alen Lauzan Falcon, a Havana-born satirical artist based in Chile, to write Cuban-style messages. Some were mildly political and comical, others more pointed. One asked respondents whether they thought two popular local music acts out of favor with the government should join the stage with Juanes. Some 100,000 people responded - not realizing the poll was used to gather critical intelligence. USAID saw evidence from server records that Havana had tried to trace the texts, to break into ZunZuneo's servers, and had occasionally blocked messages. But USAID called the response "timid" and concluded that ZunZuneo would be viable - if its origins stayed secret. Officials at USAID realized however, that they could not conceal their involvement forever - unless they left the stage. The predicament was summarized bluntly when Eberhard was in Washington for a strategy session in early February 2011, where his company noted the "inherent contradiction" of giving Cubans a platform for communications uninfluenced by their government that was in fact financed by the U.S. government and influenced by its agenda. By early 2011, Creative Associates grew exasperated with Mobile Accord's failure to make ZunZuneo self-sustaining and independent of the U.S. government. The operation had run into an unsolvable problem. USAID was paying tens of thousands of dollars in text messaging fees to Cuba's communist telecommunications monopoly routed through a secret bank account and front companies. It was not a situation that it could either afford or justify - and if exposed it would be embarrassing, or worse. By March 2011, ZunZuneo had about 40,000 subscribers. To keep a lower profile, it abandoned previous hopes of reaching 200,000 and instead capped the number of subscribers at a lower number. It limited ZunZuneo's text messages to less than one percent of the total in Cuba, so as to avoid the notice of Cuban authorities. Though one former ZunZuneo worker - who spoke on condition of anonymity because he was not authorized to speak publicly about his work - said the Cubans were catching on and had tried to block the site.